In its 20th year of participation at the 87th Geneva International Motor Show, Tata Motors proudly presents special editions of its next generation product line-up, India’s first ‘Styleback’, the Tata TIGOR and the bold, elegant and sporty compact SUV, the Tata NEXON. 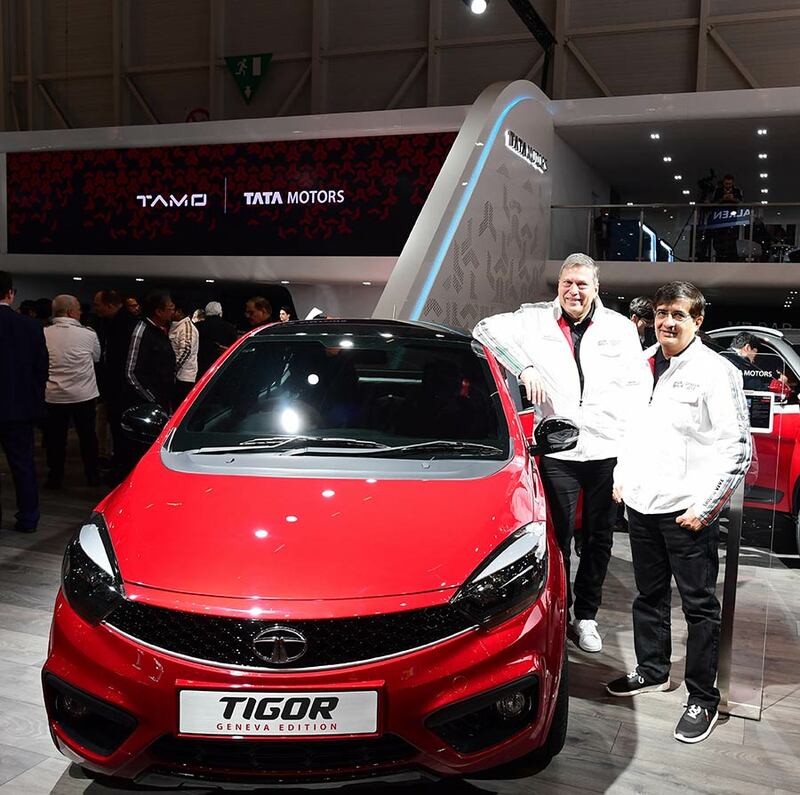 After a successful launch of HEXA early this year, Tata Motors is speeding towards the launch of India’s first Styleback, Tata TIGOR, this month. Tata NEXON, a lifestyle, zippy and young interpretation of a Sports Utility will mark its powerful entry in the rapidly growing SUV segment later this year. These products form the front-line in the passenger vehicle business, to meet immediate customer demand in a highly competitive environment. We have always showcased pioneering concepts and innovations every year in Geneva. In line with our commitment of offering customer-centric products that are rich in design and features, we have embarked on a journey to make ourselves future-ready by focusing on changing customer preferences. Denoting the company’s IMPACT design philosophy, the TIGOR and NEXON boasts of best-in-class driving pleasure in their respective segments. We have taken the excitement to the next level this year by showcasing special Geneva Editions of the TIGOR and the NEXON. The TIGOR showcased at the Tata Motors Pavilion is the designer’s rendition of the first Styleback, a stunning, break-free and revolutionary design, featuring a lively and dynamic stance. The TIGOR ‘Styleback’ introduces a radical new silhouette to the segment, which is dominated by boxy cars and will certainly be a game changer in the segment, with an unbeatable combination of style and substance. The NEXON reflects a dynamic and sporty design. Boasting a well sculpted body that portrays a sense of power and agility. It flaunts an appealing exterior design with a dual tone exterior color scheme. The car sports a dynamic silhouette that emphasizes the compact and sporty design, making it look sleek and proportionate. The Tata Motors Pavilion will bring alive the product attributes of the TIGOR and NEXON in an immersive virtual reality zone – VR Bar. This zone uses HTC Vive hardware and customised software from Tata Elxsi, the technology leader in graphics and simulation. 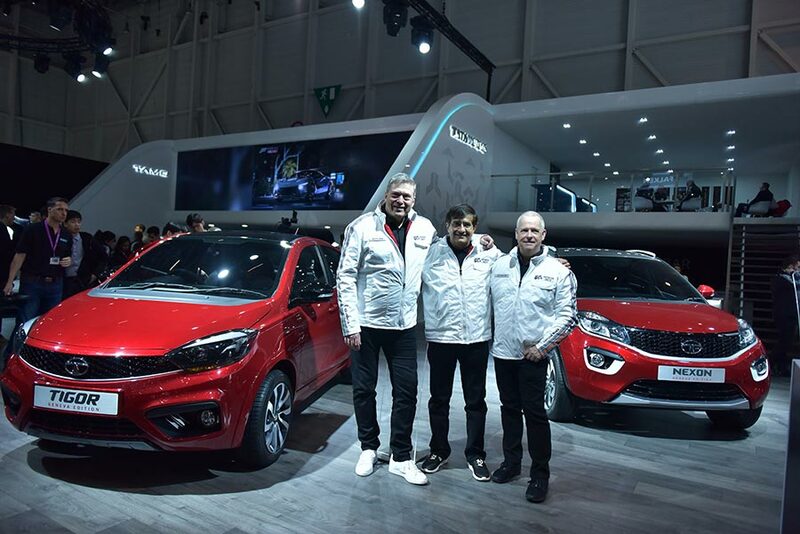 In line with its constant endeavor to enhance customer experience, Tata Motors will soon extend this experience to customers across Tata Motors showrooms in India. With a vision to be amongst the top 3 players in the Indian PV market by FY19, Tata Motors’ new strategy is based on the evaluation of different customer segments and global advancements in terms of design, technology and innovation.